If you are serious about building positive self esteem, and good self image, addressing the beliefs you have about yourself and your world, is critical for your success. How many times have you heard from gurus of success that you can only achieve what you believe? if, in your heart of hearts, you don’t believe you can overcome the problem you are trying to solve -- or achieve the outcome you want. It is just how we humans are wired. The facts about unconscious mind psychology are unavoidable because 90% of what you do in a day IS directed by the parts of your brain and mind that are not in your conscious control. Your unconscious beliefs, like a director of a movie, controls your behaviors. They filter everything you see, hear and experience – even your health. Identifying your liming beliefs and learning how to change them is about more than building positive self esteem. Really it is about shaping every aspect of your life. Your career, relationships, your health – and even your ability to be happy. Beliefs are the ideas and notions you take for granted, what you assume are true about you and your world. Most beliefs are formed during childhood when the rational mind is not fully developed. Because belief systems are formed unconsciously, in a part of your mind that is literal and not rational, most people are not aware of their own limiting beliefs. And if they are, they usually don’t know how to change them. EVERYONE has self limiting beliefs in SOME area of their life. Surprisingly, though, only a fraction of the population knows how to CHANGE them. 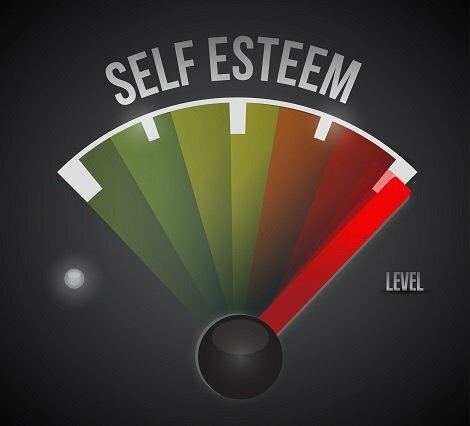 If building self esteem is important to you, you need to be one of those informed few. Most limiting beliefs are formed in childhood before the rational mind is fully developed. The subconscious mind programming is often done by parents and other well meaning adults. Sometimes berating parents can create a lifetime of low self esteem by “programming” their kids that they are not good enough, not smart enough, not sweet enough, too lazy, or not attractive enough – the list goes on. Most often, adults have good intentions behind their words.They grew up the same way and don't know any better. The truth is that when it comes to building positive self esteem or changing limiting beliefs, it doesn’t matter whose fault it is. The answer is not to blame others –including yourself-- rather it's to take responsibility and learn mind power techniques and skills that can help you change self limiting beliefs and improve your confidence. Remember, these beliefs are not in your conscious awareness, but ARE unconsciously acted out -- until they are noticed, eliminated and replaced. If you want overwrite these mind programs, you need to address those beliefs where they are – in the unconscious or subconscious part of your brain. You can only do that with subconscious mind programming, like self hypnosis. Daily Affirmations for self esteem, while helpful, can not typically get you there on their own. MY strong advice to those serious about building positive self esteem, is to learn self hypnosis so that you can align your unconscious mind with your conscious behaviors. By combining positive affirmations for self esteem with self hypnosis, you will be able to overwrite the unconscious “programs” at the level they were created. 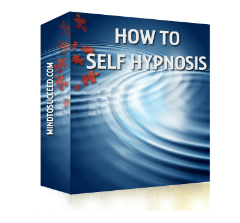 If you are not sure if self hypnosis can work for you, try the "Eyes of Love" exercise. While all techniques work better if you are in a deep relaxed state. This particular one just requires a little imagination. Positive Affirmations For Self Esteem: Do they Work?